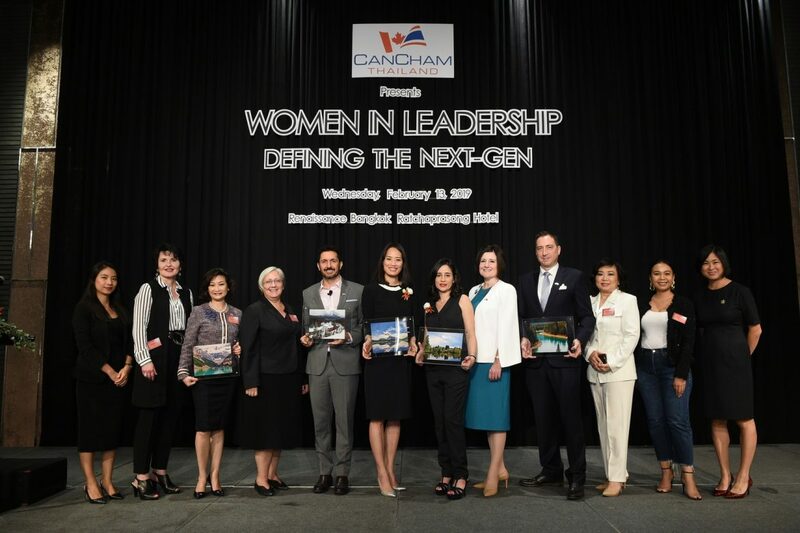 On Wednesday 13th February, I was honoured to participate in the Women in Leadership (WIL) 2019 event, organised by the Thai-Canadian Chamber of Commerce, CanCham Thailand. 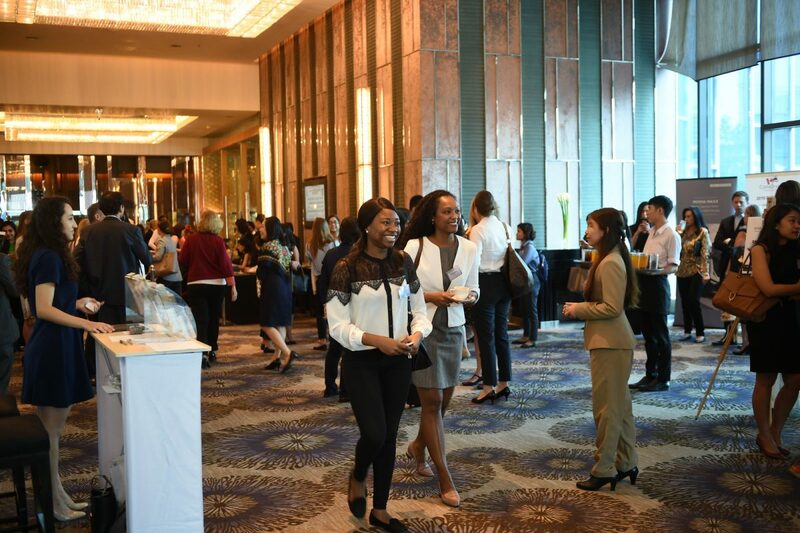 The event, held at the Renaissance Bangkok Hotel, in the heart of the city, was attended by over 340 participants, and it was a resounding success. 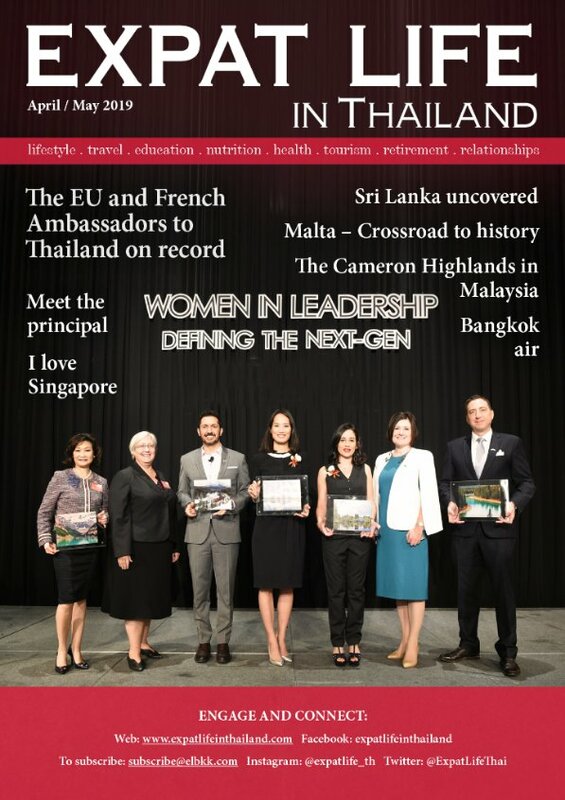 The event was attended by many business leaders, diplomats, key influencers and CEOs active in Thailand, as well as SME’s and corporate representatives, all coming together to encourage and define the Next Generation of Women in Leadership. Women have an increasingly important role to play in contributing to the economy and society as leaders. The WIL 2019 “Defining the next gen” event examined the next generation of women in leadership, by identifying the key values and leadership qualities required to operate in a disruptive and ever-changing world and sharing ideas and tips on how to develop and nurture those qualities to help shape successful careers for the next generation. 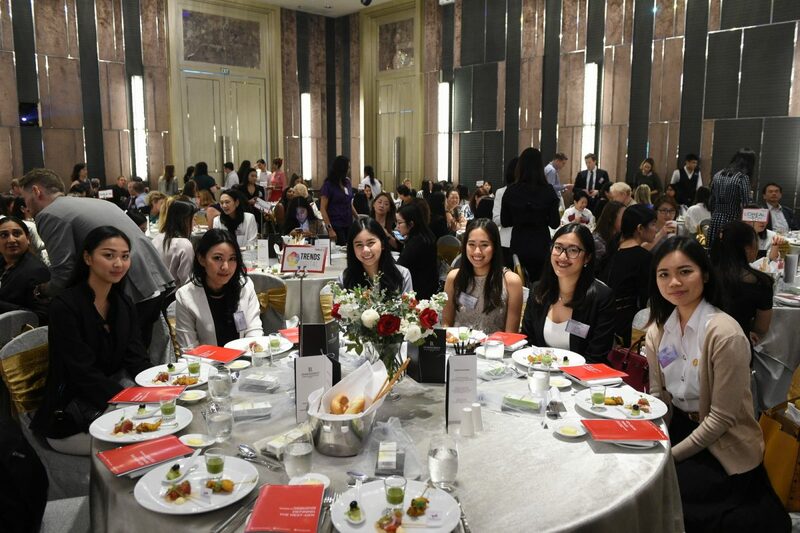 Yvonne Chin, cofounder of Women in Leadership (WIL), has held a pivotal role in developing the concept and bringing this idea into reality, which has resulted in sold-out events, and a cornerstone event for CanCham ever since. In creating this event, CanCham Thailand wants to seize the opportunity to explore and lean from the line of distinguished and inspirational guest speakers who led the topics of discussion, on what are the essential ingredients to grow as a woman leader, the x factor which is critical to their success, and how to foster these qualities for our next generation of leaders. We were welcomed with a message by Caroline Kwan, event Chair, Director of CanCham Thailand and Vice President of the MBMG Group. Ms Kwan emphasised the importance of recognising women leaders within global conglomerates. She elaborated on the reasons why women in leadership roles display great qualities, such as being more sensitive to the needs of others and being more inclusive and transparent in their communication and information. In her message, Ms Kwan brought her welcome to a wrap with one key message: Leadership has no gender. The audience was treated to very inspiring and insightful talks by four highly accomplished speakers. Rob Candelino, CEO of Unilever Thailand, delivered a talk on “Leading with Purpose”. Unilever has been a vocal, active and engaged voice in promoting women’s rights and are gender balanced advocates. Rob emphasised that the single greatest economic catalyst is through the growth of women. He also shared that the best next-gen leaders will be driven by something much stronger than a title. They will have a strong moral compass, and will be driven by their own personal why and purpose. The following speaker was Sirinya (Cindy) Bishop, actress, supermodel, TV host and activist. Cindy’s talk was named “Embracing authenticity to empower the next generation”, and she shared great wisdom and tips through her own personal story on finding your authentic self and speaking your truth. Cindy’s raw vulnerability brought a very humble tone to the room, and most women in the audience resonated with the many struggles and inadequacies that she shared. Her underpinning message was to embrace who you are, embracing all of your qualities, both good and bad. The third speaker was April Srivikorn, Head of Industry for Google Thailand. April’s speech was on “Resilience as a leader and learning to swerve”. Her impressive acumen and success in her career were accredited to her adaptability, social skills and resilience. Her advice to anyone wanting to access a leadership role was to develop a resilience leadership posture. April highlighted the fact that the true measure of a leader comes from how they show up through the difficult times, not the good ones. Throughout the many successes that April has encountered in her career, shaping a strong positive team spirit of resilience was critical. The final speaker was Ines Caldeira, Managing Director of L’Oreal in Thailand. Ines treated the room to a very moving talk on the subject “I’m worth It”. A very touching presentation by an incredibly successful woman who suffered great self-doubt and a persistent fear of failure throughout her career, often unable to see the clear potential that everyone else saw in her. She spoke about suffering from impostor syndrome, and the steps she went through in order to turn that voice off. She encouraged all women to ask themselves “Why am I worth it?” to help you tap into your greatness. Ines is now committed to telling all women in her team that they are worth it. CanCham also introduced the launch of a new initiative to support women entrepreneurs to advance their business objectives: We-CAN. This programme will provide women entrepreneurs with networking, peer-learning and group coaching by experts from the CanCham community. For more information on this programme please contact info@canchamthailand.com. For those participants in the event who wanted to show how they value the role future women leaders in business, they also had the opportunity to buy one extra event ticket to sponsor a young leader/student to attend the Women in Leadership event and steer them on an inspired path to success. Thanks to this initiative, 50 young leaders/students had the opportunity to attend the event, and they also had the opportunity to be mentored by the panel of speakers afterwards. This was without a doubt a very enjoyable, successful event and one of many more to come in Thailand, in the hope that we continue to strengthen the conversation on women’s empowerment. On a personal note, being a Leadership Coach, I feel very passionate about helping women become exceptional leaders and reach the top roles, and witnessing the participation and engagement in the room provided me with much enthusiasm and hope that together, we can continue to advance on women’s issues. It was also very encouraging to see how more and more men are joining the conversation, supporting their female peers and actively contributing to creating gender balance across all levels of the organisation. Women mean business, and continuing to organise and participate in these events will help women be empowered to fully be part in the economic life across all sectors, which is essential to building stronger economies, achieve internationally agreed goals for development and sustainability, and improve the quality of life for women, men, families and communities. Feeling inspired by all the women who put themselves out there to have a voice and to make an impact. Isabel Valle is an accredited ICF PCC Coach, Leadership Mentor and Facilitator currently based in Bangkok. Isabel has held senior positions within the hospitality industry in countries around the world, and facilitates a holistic approach to leadership, growth and success. She specialises in virtual coaching and online mentoring that inspires action and helps leaders from all walks of life around the globe bring their gifts to life to help them create professional excellence and personal fulfilment. More information available on www.isabelvalle.com.